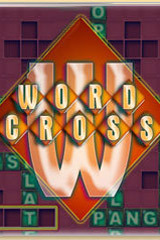 Word Cross Free Game Download! Cross the words and you'll win.You will feel like a movie star, pop star,incredible a million person and a star going to Hollywood.And just a second you'll feel like one. Cons: You'll be incredible and all that And you'll feel so so super good! Comments: Cross the words and you'll win.You will feel like a movie star, pop star,incredible a million person and a star going to Hollywood.And just a second you'll feel like one.